Are the documents eye-witness accounts? How soon after the events were they written down? Are the documents we have now accurate copies of the originals? Is the New Testament consistent within itself and with other known history? We mostly know about Jesus from the four different accounts of his life that are included in the New Testament of the Bible. These accounts are the ‘gospels’ (an old word which means “good news”) named after their traditional authors, Matthew, Mark, Luke and John. Just because these gospels are collected together into our New Testament, they cannot be treated as one book. They are separate documents which were included in the New Testament several centuries after they were written. Even though the writers were believers, this does not mean the texts are too biased to be useful. Most ancient documents have viewpoints, and historians make allowance for those viewpoints. Historians consider the following in making judgments about the historicity of the New Testament texts. This is a surprisingly complex question to answer. 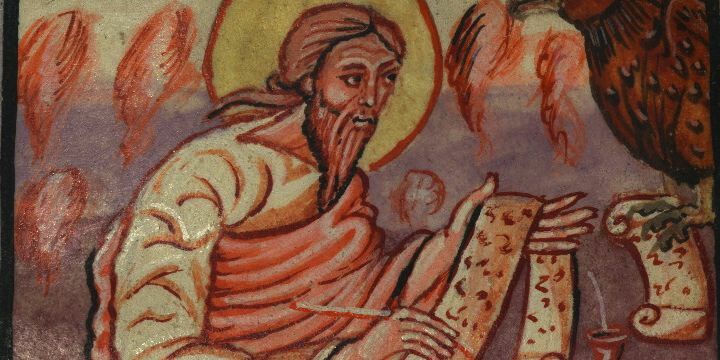 The four gospels have been ascribed to their traditional authors from a very early date, but these names are not included in the documents anywhere. On the traditional view, Matthew and John would have been eyewitnesses, and Mark and Luke based on eyewitnesses. However there is a wide divergence among scholars about whether the named authors wrote, or had a part in writing, the four gospels. It may be that this isn’t as important a question as we might think, as the books may well have been compiled from the memories (and sometimes writings) of many different people. Many have undertaken to draw up an account of the things that have been fulfilled among us, just as they were handed down to us by those who from the first were eyewitnesses and servants of the word. Therefore, since I myself have carefully investigated everything from the beginning, it seemed good also to me to write an orderly account …. However the conventional view has been challenged by some notable scholars. For example, Maurice Casey, an expert on the Aramaic language which Jesus spoke, argues that Mark’s gospel was written in Aramaic by an eyewitness, within a decade of Jesus’ death. It remains to be seen whether this argument becomes accepted. Much New Testament study over the past century has tried to “take apart” the gospels and separate out historical fact and interpretation in each small section. (It is important to historians to be able to separate “raw facts” from people’s interpretations, though this may be less important for those simply seeking “the truth”.) Thus highly sceptical scholars believe less than 20% of the material can be considered “historical”, with the rest containing significant interpretation by the early christians and also legendary material. However this approach is considered by many scholars to be more sceptical and destructive than is applied to other historical documents. For example, classical historians Michael Grant and AN Sherwin-White commented that it appears that theologians are generally more sceptical than secular historians. Therefore scholars are reconsidering this “cut and paste” approach in recent years – N T Wright has argued for a more holistic approach, and Richard Bauckham has argued persuasively for a strong eyewitness content. In recent years many scholars have started to treat the gospels as memories of the eyewitnesses to Jesus’ life and teachings. As such, they are likely to be generally accurate regarding the most dramatic events and teachings, but coloured by the early christian community’s reflection on the events. They represent what the first christians thought was most important. More conservative christian scholars have always maintained that the traditional authorship is correct, that the New Testament is historically true and only small amounts are later interpretation. They argue that the interpretation of events by the early christians is a valid basis for belief. So, are the gospels based on eyewitness accounts? The answer of the mainstream historians seems to be that they are, but while some parts are factually historical without significant later amendment, they are all coloured by later reflection. This question is important because the longer the gap between event and writing, the more likely it is that error, additions or legendary elements can creep into the stories. It is generally agreed that the gospels were written between 30 and 70 years after Jesus died, though Casey and others believe Mark was written much earlier (within a decade). Some other parts of the New Testament (namely some letters written by a converted Jew named Paul), in which only brief historical details about Jesus are given, were written perhaps 15-30 years after Jesus died. How significant is this gap? These time periods may seem long by the standards of our modern information-rich age, but they are quite short for ancient documents. For example. biographies of Alexander the Great were not written until hundreds of years afterwards, yet they are considered to be trustworthy and generally free of legendary material. To use a Jewish example, the well-known rabbi, Hillel, died not long after Jesus was born, yet the first document we have that mentions him was written more than 200 years after his death. There are of course also histories that are closer to the events than the gospels – for example Polybius’ Histories – but the gospels are generally among the closest of historical documents to the events they describe. The small gap between event and writing is emphasised when the New Testament is compared to the writings of some other religious founders. The Zoroastrian scriptures were written down more than a millenium after Zoroaster lived, the scriptures and biography of the Buddha were wrtten more than 600 years after he lived, and while Muhammed’s sayings were written by him, his biography was written more than a century after his death. We don’t possess the original gospels, because documents deteriorate over time, but only full and partial copies of the originals. Ancient documents were copied by hand, so the gap between original and copies, the number of copies and how well they agree with each other, are all important in determining whether copying errors have occurred. of all documents of comparable age, Homer’s Iliad has the next greatest manuscript testimony after the New Testament – 1,757 manuscripts, but the earliest is dated about 400 years after composition. When all the different New Testament manuscripts are compared, the copying is shown to have a high degree of accuracy. For a discussion of the variations among the manuscripts, see The reliability of the New Testament text. The accounts of Jesus’ birth in Matthew and Luke appear to differ in the dates and some details differ, though are not necessarily inconsistent. Most scholars believe they are not consistent. The four gospel accounts of the resurrection differ in the sequence of events, and details such as the number of people/angels seen at Jesus’ tomb. Most scholars believe there are inconsistencies in these accounts, although John Wenham has shown that the accounts can be harmonised. John appears to give different days of the week for the Last Supper and the crucifixion than those given in the other gospels. Most scholars believe this is an anomaly, but there are various explanations of how the accounts may be consistent. The picture of Jesus, the content of his teaching and the manner in which he spoke, and the outline of his ministry portrayed in Matthew, Mark and Luke are different in many ways to the picture in John. References in Roman writings to Jesus and the early christians are limited in detail, but generally agree with the gospel accounts. Roman historians Tacitus, Pliny the younger and Suetonius all give brief references to Jesus and confirm some basic facts of his life and death. Archaeology provides some significant support for some of the historical accounts in the New Testament. Luke, who wrote the history of the early church in the book of Acts as well as a gospel, is considered by scholars to be a very reliable historian. Historians once considered Luke to have made errors in certain statements which archaeology has subsequently shown to be accurate, for example, in the names, titles and dates he gives for various government officials. There have been some doubts cast on whether the town of Nazareth really existed in Jesus’ time, and there are still conflicting views, but significant archaeological evidence has now been found, and the majority of scholars do not find any problem. It seems that, using a similar basis as for other historical analysis, the historical basis for the New Testament is strong (though not without its difficulties). We can reasonably accept the documents as reliable history, although our individual opinions about the possibility of miracles and God’s existence will determine how we interpret them. Comment on this topic or leave a note on the Guest book to let me know you’ve visited. Michael Grant references from “Jesus: an historian’s review of the gospels”. AN Sherwin-White reference from “Roman Law and Roman Society in the New Testament”. NT Wright reference from MA Powell “The Jesus Debate”. R Bauckham reference from “Jesus and the Eyewitnesses”. JAT Robinson & H Koester quotes from Gary Habermas Recent Perspectives on the Reliability of the Gospels. J Wenham quote from “Christ and the Bible”. A Comparison of Ancient Works with the New Testament. Where in the world is God? Does hell make it impossible to believe in God? How many christians are converts? Did Jesus really perform miracles? Was Jesus raised from the dead? Was Jesus a copy of pagan gods? Who wrote the New Testament? Does it matter? Which historians should we trust? Were Bethlehem and Nazareth real places? Can we believe the Old Testament? Did Moses really lead 2 million people across the Red Sea and into Canaan? Did God really order the slaughter of the Canaanites?